According to ISRO, the participation of the industry in realisation of space systems such as spacecraft, launch vehicles, establishment and operations of ground support systems and facilities, and implementation of application programmes for the benefit of end users have been steadily growing. Hyderabad: The Indian Space Research Organisation (ISRO) is planning to double the launch frequency of satellites built by it by scaling up outsourcing to industry to meet growing demand, officials say. 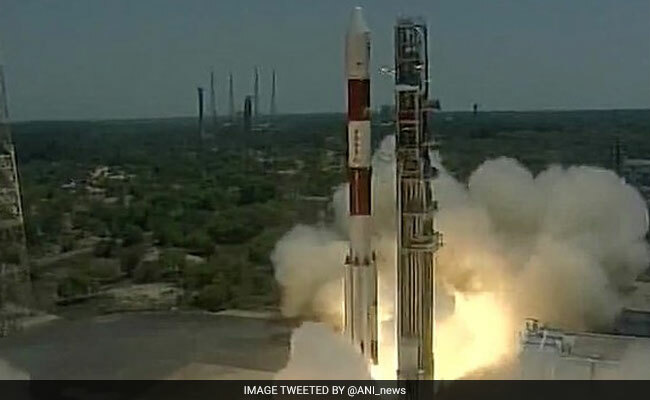 Mylswamy Annadurai, the director of ISRO Satellite Centre (ISAC), the prime agency for realising satellites for the Indian space programme, said ISRO now launches nine to 10 spacecraft built by it per year. "Requirements have gone up. We also have to fill up the backlog. We are targeting to double the launch frequency to 18 per year from 2018-19," Mr Annadurai told PTI. He said ISRO's experience with the industry has been reasonably good, and vendors are "very enthusiastic" in increasing their contribution in the space programme. ISRO Chairman A S Kiran Kumar said the space agency does as much activity as possible with the industry. "Wherever it's possible to get the things done through the industry, we are doing and it will only increase in the coming days because we need to do more frequent activities. There will be an increase in the usage of industry for the activities," he told PTI. The chairman said 80 per cent of work relating to launch vehicles (rockets) is done by the industry, whose contribution in building of satellites is in the range of 30 to 35 per cent. "Effort will be to keep increasing it. Finally, (eventually) we feel (only) eight to ten per cent of activities will have to be done within the organisation (and the rest outsourced to industry)," he said. "Depending on the capability of the industry to take up more and more job (work), it will be done, and as they become more and more capable, the activities will shift to them," he said. The ISRO, Kiran Kumar said, is also looking at the possibility of building a PSLV in a joint venture with a set of industry partners by 2020-21. "Processes are on. We have to go through a number of clearances... submitting to the government and getting clearances. We are working on that," he said. He said ISRO is addressing to resolve bottlenecks in increasing the launch frequency of satellites. "If we have to do 12 to 18 launches per year, progressively we will see what's limiting that and then work on it. Right now, second (launch) vehicle (rocket) assembly building is what is causing that, and that's getting ready and by the end of this year, it should become operational," he added. ISRO has been associated with more than 500 small, medium and large-scale industries while implementing various space programmes. So far it has transferred about 300 technologies to Indian industries for commercialisation.